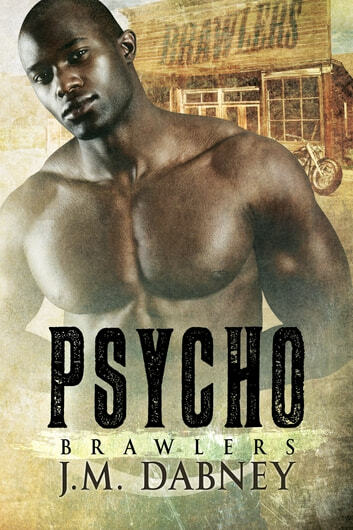 Life wasn’t easy when you were certifiable, Gerald “Psycho” Clemons lived on the fringes of society. Five years he hadn’t thought twice about riding with a group who saw most laws as flexible. When the leader of the group turned crazier than Psycho he stepped in and made the man pay. He’d never been rewarded for his temper before, yet that’s what happened when he earned a permanent place and a job as a bouncer. Everyone walked a wide circle around him and he liked it that way. One look from his cold black eyes and he had people backing up. Then he met a man who had to be crazier than him. Decadence Bakery was Ben Morin’s dream come true and he loved it, but he grew tired of his lonely existence. Six months earlier he’d turned on the open sign and hopefully changed his life for the better. Ben loved his small cottage in the middle of nowhere even with the 3 a.m. rumbling of motorcycles and loud music at the farm next door. Although one thing he didn’t love was his new hobby of watching one of the terrifying men next door. What could a little harmless peek every now and then hurt? Sweet and older wasn’t his type, but Psycho couldn’t deny the need to possess the beautiful baker. It was stronger than even the insanity he barely kept at bay, could he have a man who looked passed it or would Ben run like all the rest?